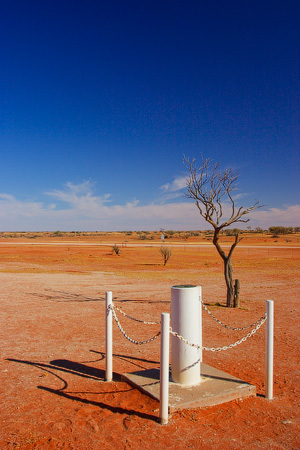 Cameron Corner is located at the intersection of 26th parallel (South) and 141th meridian (East), about 140 kilometres from a nearest small country town Tibooburra in New South Wales. 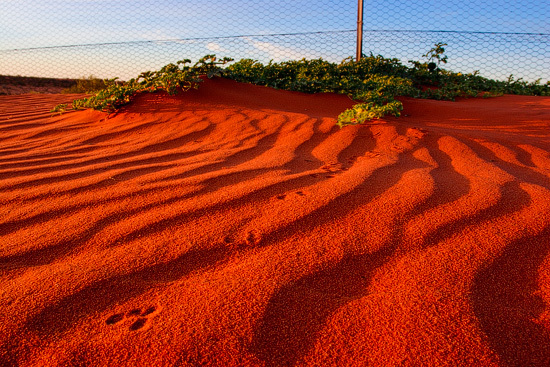 This remote region was first explored by Charles Sturt in 1844 and surveyed by John Cameron later in 1882. These days this almost deserted place hosts the Corner Store, providing fuel, repairs, meals and accommodation. A large flat area next to the store is used for camping. They say that it is “a Queensland business with a NSW postcode and a SA telephone number”. 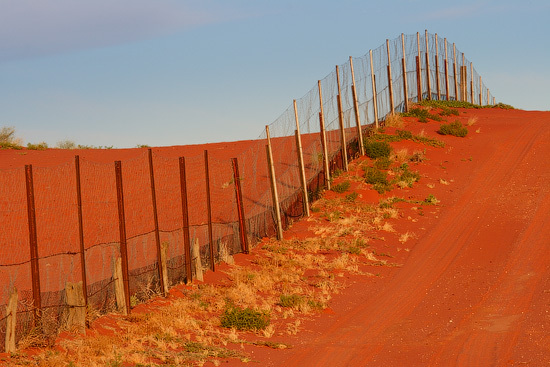 Cameron Corner is also a place where the famous Dingo Fence makes a 90 degree turn following a NSW border. 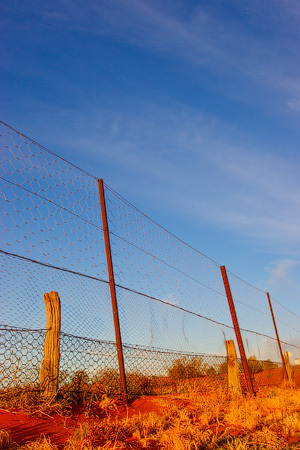 Parts of the world’s longest fence were initially built in a failed attempt to stop rabbits. These parts were joined together and converted to a dog proof fence by 1914. 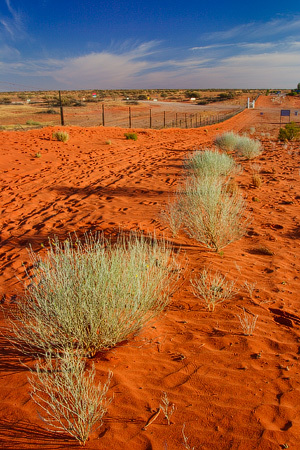 Currently, it is 1.8 metres high, extends 30 cm underground and stretches for 5614 kilometres.